As a male supporter to Black women, I hope my sisters finally got the message that white women are not their allies. Maine Sen. Susan Collins support of Brett Kavanaugh’s confirmation to the Supreme Court was the ultimate betrayal of one woman against many. Ever since Hillary Clinton’s presidential nomination, I have struggled to understand as a Black man why so many Black women have heralded white feminist agendas in support of white women who diminish the coalition among Black men and women. These are the same white women who voted overwhelmingly for a racist, misogynistic, xenophobic President, and who, according to a recent Quinnipiac poll, were just as likely to believe Kavanaugh (41 percent) as Prof. Christine Blasey Ford (48 percent). Black women have buried a Black womanist agenda – feminism that centers their history and lived experience— for a white feminist perspective that has always advanced patriarchy and white hegemony, leaving them with nothing but broken homes and ill-gained promises. How can we forget the image of Clinton standing center stage at the 2016 Democratic National Convention in Philadelphia? 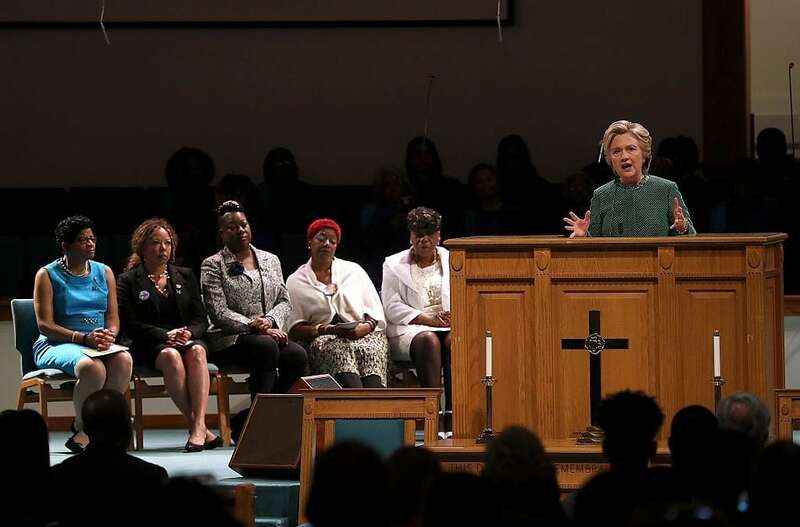 There, she was surrounded by Black women, affectionately named “Mothers of the Movement,” in recognition of the public killings of unarmed black people, including several children. Let’s put aside the fact these deaths were largely the slaying of Black males, and the emotional commitment of Black fathers to their Black children was completely erased. Black women still received nothing for their public performance and support of another white woman, who gained millions of dollars in residual profit from her book. I still haven’t heard if those mothers received a check. The history of feminism has left Black women lacking social, gender and economic equity. For example, Black women’s top jobs pay half what white women’s do, according to the U.S. Census Bureau and the Economic Policy Institute. While white women earn 79 percent of the white man’s dollar, Black women earn only 63 percent. This, despite Black women having higher labor force participation than white women. When white women were making inroads into industries such as education, airline industry, and board rooms, Black women were still being left in kitchens, domestic work, and low-skill factory jobs. 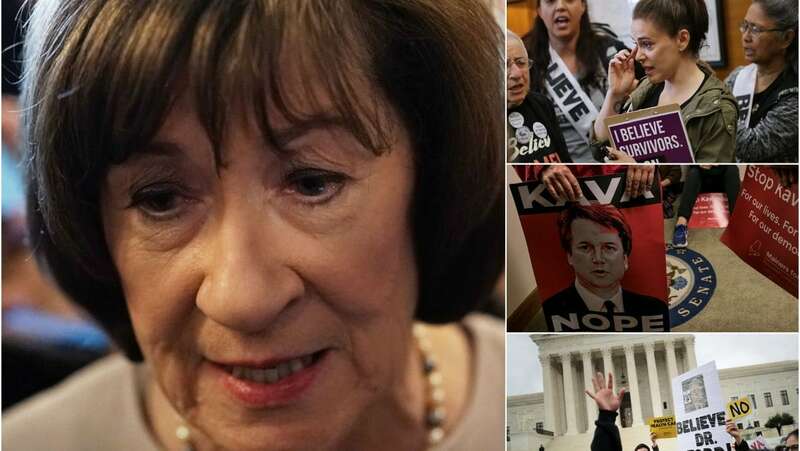 But now as Collins cast her vote in support of a rich, white man who at best has proclivities toward exaggeration and distortion, and at worse is a liar and sexual offender, she has again awakened us to the motivations of the 53 percent of white women who voted for Donald Trump. When it is all said and done, white women will support patriarchy and whiteness for their own personal, social and economic security. Did Collins think about the vulnerable position she placed on Black women when she decided to support Kavanaugh in spite of believing that Blasey Ford “is a survivor of a sexual assault and that this trauma has upended her life.” If she could think so casually about Blasey Ford’s experience, then what support will Black women get from white women when it comes to their bodily integrity? What institutions will white women such as Collins help construct to support Black women when it comes to family services, healthcare or domestic assault now that the highest court in the land has been stocked and loaded to thwart movement on progressive issues or uphold a woman’s right to agency? If Black women hold on to what Collins asserts, then a testimony that is “sincere, painful, and compelling” is no defense. So pleading the case of Black women to white women seems pointless. As far as I can recall, the white feminist agenda has never put forth safe guards to protect Black women’s interests. For centuries white women have been co-conspirators to slavery, lynching, mass incarceration, voter suppression and gender inequality. They have publicly used Black women as props to advance a cause from which they would only profit. Don’t believe it? This is, in part, why Sojourner Truth declared her Black womanhood in her “Ain’t I A Woman” speech at the 1851 Women’s Rights convention in Akron, Ohio. This is not to say Black men and Black women don’t have conflict around violence and gender parity. Without question, this relationship needs critical attention. Even as Black women advance at work and in entrepreneurship, they still only earn 87 percent of a Black man’s dollar. And Black men need to speak louder against domestic violence. We need to challenge the social arrangement that displaces Black men from children, particularly the prison industrial complex, leaving our women as sole breadwinners in the home. Hopefully, Collins, however, has helped Black women to finally accept that the advancement of Black womanhood will never be secured in the arms of white women.